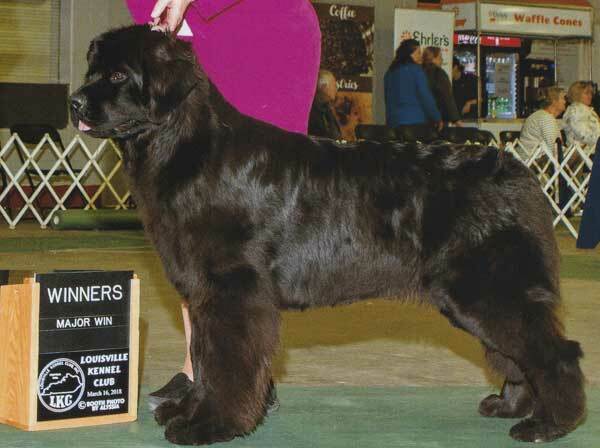 What is a Grand Champion or GCH? The American Kennel Club requires a dog to obtain a total of 25 points with three major wins (a major win is worth three points or higher) and have defeated 3 other champions at 3 different shows to become a Grand Champion. Do your dogs live in the house with you? Yes! Our dogs are part of our family. They sleep in our bedroom and eat in the kitchen, we do not have kennel dogs. We do use crates for their safety and well being when needed. We give priority to prospective owners who will do the same. We have fed a few different foods over the years all of them are good foods. We changed for a variety of reasons, quality, cost and availability to name a few. We currently feed and recommend pro pac ultimates grain free. We use the fish formula. In the past we have fed Taste of the Wild and purina sensitive skin and stomach. Unless there is a good reason always feed the adult formulas of foods. The puppy formulas typically have too much protein and will cause your puppy to grow too fast. Can we visit your dogs? Absolutely! We welcome visitors but we do ask that you call to be sure we are at home. The best time of year to visit is in the spring and fall, winter is treacherous here our house is off of the road some distance and the driveway is usually solid ice during the winter. A 4x4 is required to get here in the winter. Will you ship your puppies? their new puppy before you take him/her home. We only transact face-to-face. Some of your dogs have preliminary hip and elbow clearances, how accurate are preliminary results? hard and may injure themselves, by doing prelims we are able to see any possible "genetic" issues rather than play injuries. What is cost for one of your puppies? As of August 1st 2017 all of our puppies are $2500. What is the process to get a puppy? #2 If you are approved, you will receive an email notifying you of approval. #4 Watch our Youtube channel as your puppy grows. #5 Pick up your new puppy! We can't hold a puppy without a deposit on file. If you cancel after your deposit has been sent in you may have to wait to get it back so please be sure you really want a puppy and are ready for one. Please read the deposit information page. Typically puppies are all in their new homes by 10 weeks of age.